René Marie is talking about how her episodic and sometimes dramatic life has informed her music. “I don’t know how to do it except to draw from my life experience,” she says. “If not mine, whose life experiences would I draw from? 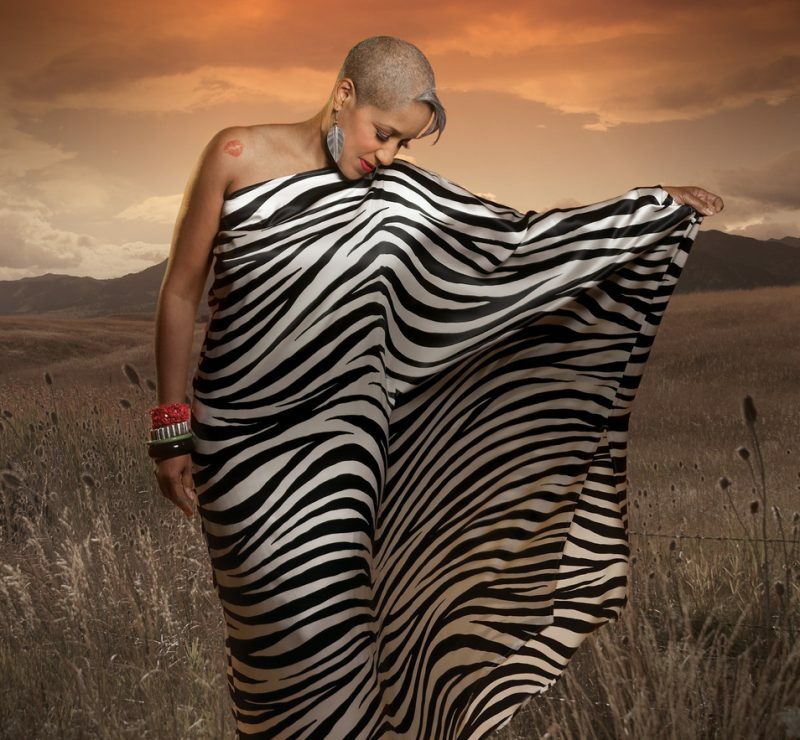 If I don’t, it’s going to sound fake or contrived.” The Denver-based vocalist has recently released her seventh album, the aptly-titled Voice of My Beautiful Country on Motema Records. It’s an album that has a little bit of everything-standard, folk song, rock and soul covers, and patriotic anthem-but Marie doesn’t hesitate to pinpoint the inner connection of the material. “It’s all based on music that really touched me as I grew up,” says the 55-year old singer. “For example, I picked ‘White Rabbit’ because of America’s relationship with mind-altering substances. It might seem like a stretch, but it doesn’t seem like it to me. At the time I wanted something to reflect the fascination with drugs and the drug era.” But there’s no psychedelia in Marie’s version of the Jefferson Airplane hit, which she bends and stretches to fit her dramatic yet highly musical approach. Instead the effect is poignancy, not alienation. Backed by her working band of Kevin Bales on piano, Rodney Jordan on bass and Quentin Baxter on drums, the rest of the material ranges from more hit songs of ’60s and ’70s FM radio (“Drift Away” and “Just My Imagination”) to traditional folk ballads (“John Henry” and “O Shenandoah”) to a Latin jazz ballad (“Angelitos Negros”) and to even a jazz standard (Dave Brubeck’s “Strange Meadowlark”). And capping it all off is Marie’s 20-minute suite that links “My Country ‘Tis of Thee,” “America the Beautiful” and her version of “The Star Spangled Banner” to which she substitutes the words of “Lift Ev’ry Voice and Sing,” a personal and creative choice that touched a nerve when she first performed it in 2008 and that garnered her considerable attention and feedback, much of it negative and some even qualifying as honest-to-God hate-mail. More on that later. One of the more interesting aspects of Marie’s approach is that even when the album is addressing difficult or potentially divisive topics, it retains a sense of optimism. In the case of her “Voice of My Beautiful Country Suite,” it’s the song itself or at least one of them that has evoked a good bit of controversy. That suite contains the surprisingly incendiary version of the National Anthem that caused such a stir when she did it at a political event in Denver, the mayor’s state of the city address. For those who may have missed the blowback from that performance in which she sang the words of “Lift Ev’ry Voice and Sing” to the music of “The Star Spangled Banner,” Marie was the subject of intense and often personal criticism for a creative choice with political overtones. The lyrics Marie sings were originally written as a poem by James Weldon Johnson, whose brother John Rosamond Johnson later put the words to music. The poem itself was recited publicly for the first time in connection with Abraham Lincoln’s 100th birthday on February 12, 1900. Marie describes the song as, “Two Americans writing about America.” The song became a fixture in hymnals and churches all over the country. Reverend Joseph Lowery (the former president of the Southern Christian Leadership Conference, Dr. Martin Luther King, Jr’s organization) recited the song’s third stanza to begin his benediction at the inauguration ceremony for President Obama on January 20, 2009. In the hopes of inspiring others to express their feelings about this country, Marie has organized an interesting promotion connected with the suite and album. According to the press release received at JazzTimes, she is “asking her fellow Americans to follow her lead, listen to their inner voice, pull from their own experiences and creatively express to the world, what they love most love about their country.” Entrants can use poetry, photography, spoken word, video or music-whatever best displays their own “Voice of My Beautiful Country.” The contest runs through May 31, 2011. People can participate in the contest by visiting the Voice of My Beautiful Country website and uploading their entries. 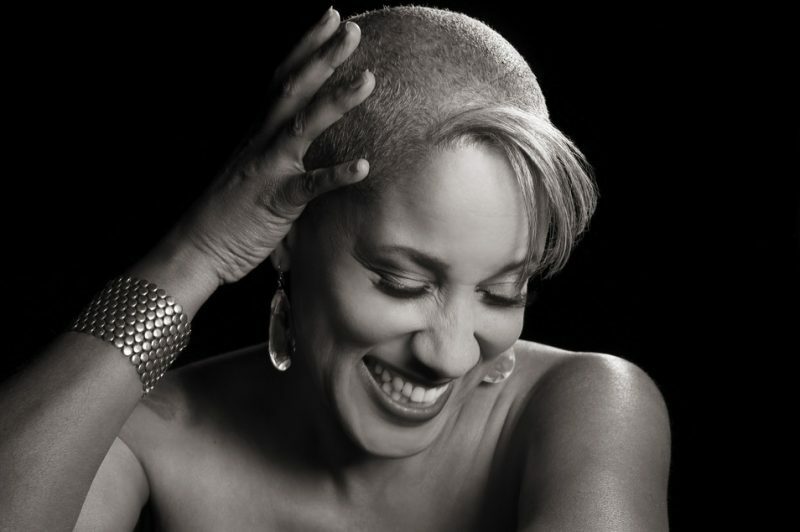 One grand prize winner will be awarded a trip for two, including airfare and hotel, to the Nation’s Capital – Washington, DC to see René Marie in concert on July 6, 2011 at Blues Alley. Two runners up will receive a signed gift set of four René Marie CDs plus tickets to a René Marie show in the city of their choice along the tour. With such immersion in the worlds of jazz and theater, you might imagine that Marie feels some pressure to relocate to New York City. A resident of the Denver area for over six years, Marie says she doesn’t buy the notion that she needs to relocate to New York City to further her career professionally or creatively. “I’ve never let that idea that New York City is the ‘IT place to be’ affect my viewpoint,” she says. For Marie the more significant change was going off the road and doing the show, but recently she’s resumed her heavy touring schedule. Marie has also developed a show called “Two Skirts and a Shirt,” which features Marie and fellow jazz singers Carla Cook and Allan Harris. Marie came up with the concept, produced it, composed the theme song and arranged all the group tunes, including the vocal arrangements. The show, which opened in Denver in 2008, was premiered at the Kennedy Center in November 2010 and recently had an extended engagement at Dizzy’s in New York City. And, of course, she’ll be performing material from her new album and she figures to retain its organic quality. “I don’t like antiseptic music,” she says. “If it’s not real, it doesn’t move me.” René Marie is, above all things, very real.